Postpartum depression, as common as it might be, is widely misunderstood. No one knows for certain exactly why mothers get postpartum depression and many aren’t even aware of the symptoms. If there was less stigma and more mothers felt comfortable enough to speak up about their postpartum depression, perhaps the rest of the world would know about it and find ways to help. In an effort to help others understand more about postpartum depression – here’s a list of 10 things that mothers with postpartum depression want you to know. Mothers with postpartum depression are not prone to hurting their babies. While there have been cases that ended in tragedy – those mothers were likely suffering from postpartum psychosis, which is much more serious. We might be seen as “bad” mothers because we didn’t bond with our babies right away, or we seem withdrawn from them or avoid holding them. These are common symptoms of postpartum depression but it does not mean that we want to harm our child or that we don’t love them as much. If anything, postpartum depression makes us stronger mothers because we have to fight harder to build a mother-child relationship. You don’t need to take our babies away from us or be concerned about leaving us alone with them. If we come to you for help and admit what we are feeling – that makes us a better mother, not a bad one. Postpartum depression is not just a psychological issue – it’s physical pain, it’s chemical imbalances, it’s uncontrollable hormones. It’s a total body experience and not just something we imagine. Positive thinking alone will not get rid of postpartum depression. It’s important to stay positive to help reduce stress which is a big trigger for symptoms, but there is so much more to it than that. Postpartum depression is NOT our fault. We didn’t get it because of a traumatic labor or breastfeeding problems or because we didn’t have a good enough support system. It’s natural to want to find an explanation for what we’re going through and it’s easy to look back on our pregnancies and deliveries and find something to blame for the mess. While there are several different risk factors that can increase your chances of having postpartum depression, the truth is – even a women with the happiest of pregnancies, easiest of deliveries and biggest support system could still be diagnosed with postpartum depression. It does not discriminate. There are studies being conducted to try to determine the cause of postpartum depression but for now – it’s still a mystery as to why some women get it and others do not. There are plenty of treatment options and ways to control the symptoms but we will never be the same person we were before postpartum depression. Anti-depressants, therapy, self-care, yoga and meditation, etc., are all important for helping with the symptoms but they will not make postpartum depression go away permanently. Some women can control their symptoms better than others, but no matter what, we will all have to live with the darkness inside of us for the rest of our lives. If we’re not careful about following our treatment plans, we could suffer a relapse. Just because we don’t seem depressed doesn’t mean we’re not suffering inside. 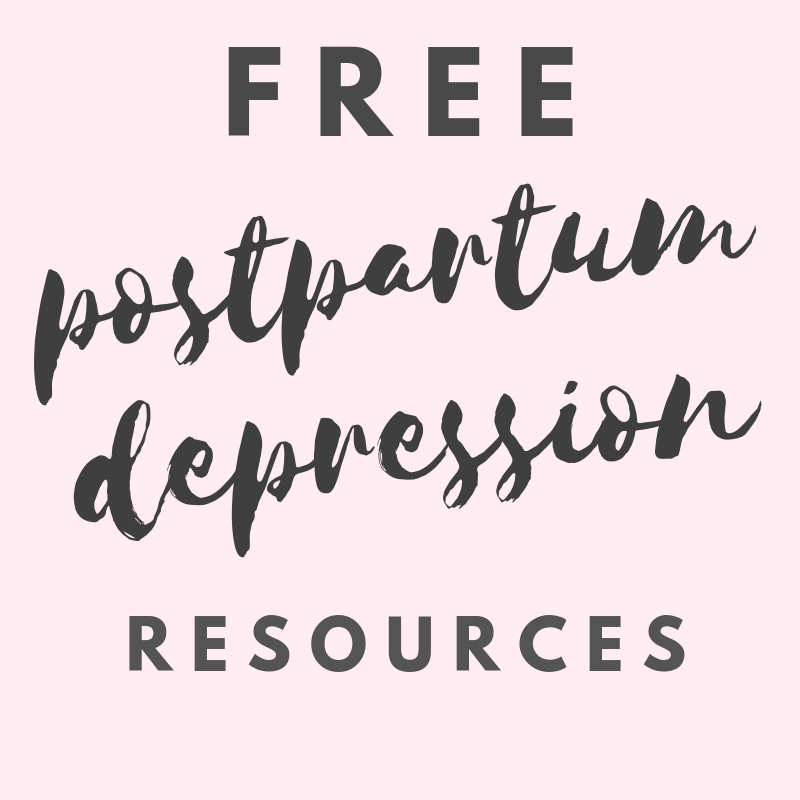 Postpartum depression can be an invisible disease, which means we don’t have a giant scar or walk with a limp but we are in just as much pain. Mothers with postpartum depression have gotten very good at putting on a smile to hide the pain and avoid the awkward questions. Thanks to the stigma around postpartum depression, many mothers won’t even admit to having it for fear of what the world will think of them. Organizations like 2020Mom and The Blue Dot Project are helping to break down the stigma through campaigns like Maternal Mental Health Awareness Week but they will only be successful if mothers with postpartum depression are willing to let the world know that they exist. Anytime I hear a story about a new mother taking her life and/or her child’s life, the question arises as to whether or not it’s postpartum psychosis. While postpartum depression can cause mothers to feel suicidal, postpartum psychosis can cause hallucinations during which a mother isn’t even herself. They are two different diseases and psychosis is a severe medical emergency. Postpartum psychosis leads a mother to have hallucinations and hear voices in their heads. They are often a danger to themselves and those around them, including their children, because of their unpredictable behavior. They are not aware of what they are doing, and if left untreated – can end in tragedy. It’s important to be aware of the symptoms of postpartum psychosis and know the difference. This article from Postpartum Progress does the best job at explaining it. Here’s an article from Huffingtonpost with regards to the movie “Tully” portraying a woman diagnosed with postpartum depression when really, she suffers from postpartum psychosis. Postpartum depression can manifest itself in different ways. Fits of uncontrollable rage is a lesser known symptom and can cause a lot of strain on relationships. When we are riding the emotional roller coaster that is postpartum depression, it’s easy to lose control and lash out. But until our symptoms are under control with a proper treatment plan, it’s best not to take the things we say and do personally. The urge to push people away and withdraw into ourselves is strong with postpartum depression, but that doesn’t mean it’s what we actually want. In fact, a support system is something we need now more than ever. Please don’t feel offended if we don’t want to talk to you about what we’re going through. It’s much easier to talk to strangers who have been through it before, such as a therapist or online support group. They understand what we mean and won’t judge us. We know you don’t mean to judge us, but unless you know what it feels like to be inside the head of a crazy person, you couldn’t possibly understand. Even if we don’t want to talk to you, we still need your help to get through this. Postpartum depression is a tough fight and it’s even harder to fight alone. There are so many ways that you can help us, but it’s very hard for us to tell you what they are. The biggest way that you can help us is by trying to understand what we’re going through. And even if you don’t understand, stand by us and support us no matter what. Withdrawing from society is a major symptom of postpartum depression and it’s out of our control. But we hope that, when we do finally feel better, you will still be there waiting for us on the other side of the darkness.